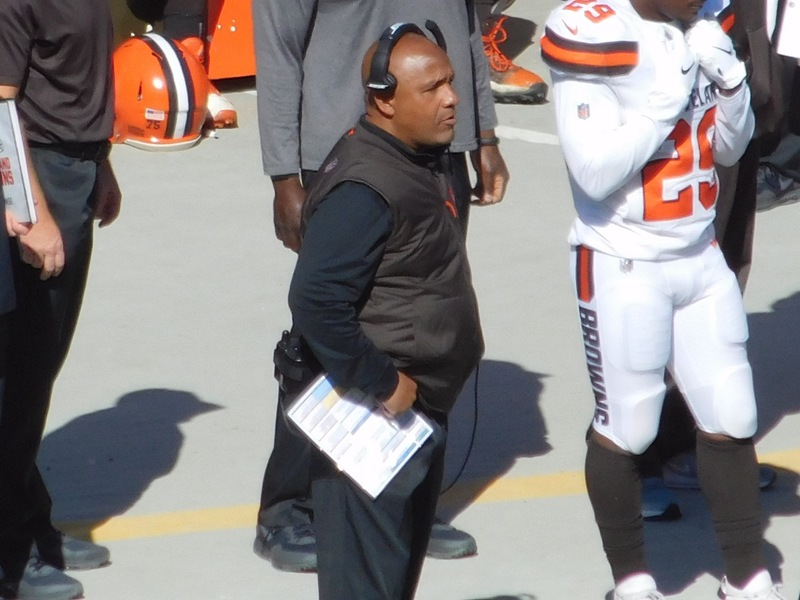 CLEVELAND – Browns coach Hue Jackson was not in the happiest of moods on Sunday following the teams’ 24-point setback to the Chargers, a game that many felt the Browns should have won after their overtime win last week over the Ravens 12-9. Instead, the game was ugly pretty much from the opening kickoff, as Los Angeles went 57 yards in five plays to take an early 7-0 lead, and by half lead the game 21-6. There was the usual screw up by the refs, another couple of injuries to the Browns, and a day that rookie quarterback Baker Mayfield would love to forget. With a trip to Tampa next for the 2-3-1 Browns, here’s some takeaways from what Hue had to say to the media following the tough loss to Los Angeles.